Nonin Medical's SenSmart Model X-100 Universal Oximetry System is the first dedicated oximetry system that provides measurements of both regional (rSO2) and pulse oximetry (SpO2). The SenSmart system provides inclusive monitoring of up to six-channels of rSO2and SpO2 on one screen. 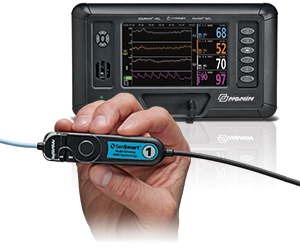 The signal processor is markedly smaller than previous versions, making the SenSmart system ideal for use in settings where space is an issue, such as the CVOR or ICU. 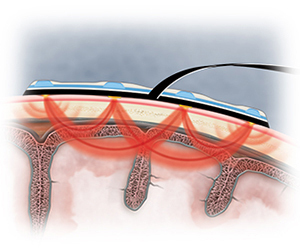 Highly Accurate: The SenSmart System's EQUANOX Advance rSO2 Sensors provide clinicians with state-of-the-art absolute accuracy. 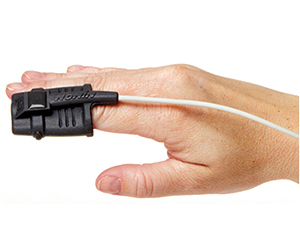 Nonin's reusable SpO2 Soft Sensors provide fast, accurate and reliable readings even in patients with low perfusion or in the presence of motion. Easy to Use: The smaller, lighter and less-intrusive SenSmart Universal Signal Processors automatically recognize and display either the rSO2 or SpO2 signal, as well as the channel number. Convenient: The portable, easy-to-operate SenSmart Monitor offers Bluetooth® wireless or RS232 case download connectivity, as well as connectivity with Philips® IntelliVue® Monitors via VueLink® or IntelliBridge® interface. Manufactured by Nonin Medical, Plymouth, MN. Distributed by Terumo Cardiovascular Group, Ann Arbor, MI.